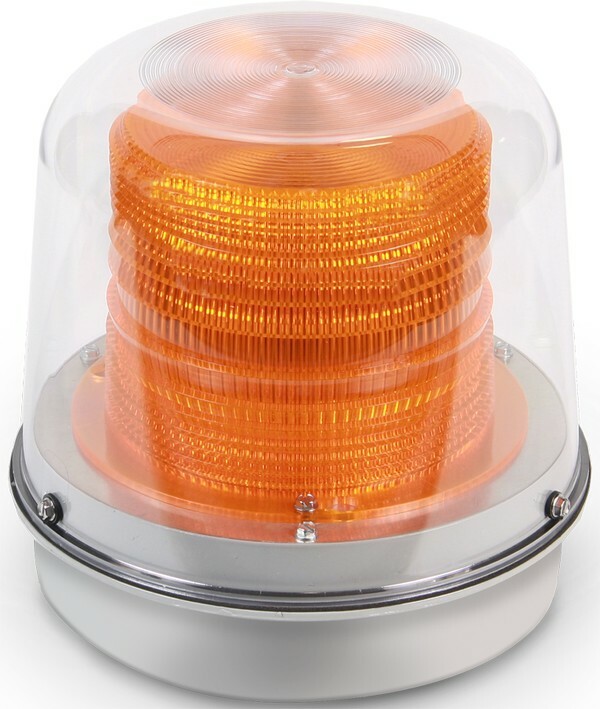 Edwards 94 Series Xenon strobe beacons are heavy-duty visual signals suitable for use where more frequent and longer lasting signaling cycles may be required. Optically designed fresnel lenses improve viewer perception for indoor and outdoor applicatoins. 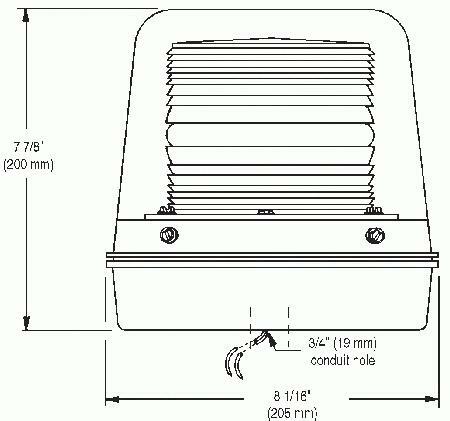 The base is cast metal and can be utilized as a junction box. 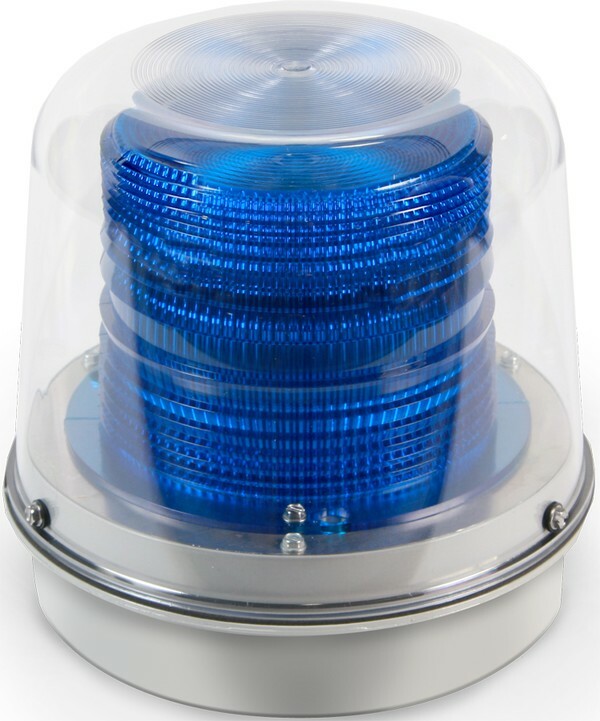 The 94DV Series offers a double flash model that doubles the apparent strobe on-time (50 double flashes per minute). Trigger and timing circuits are included as integral parts of the power supply. 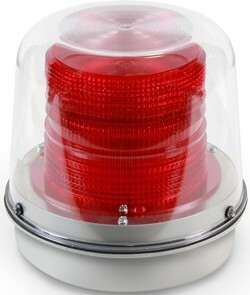 Replacement costs are reduced, as it is necessary to replace only the strobe tube. 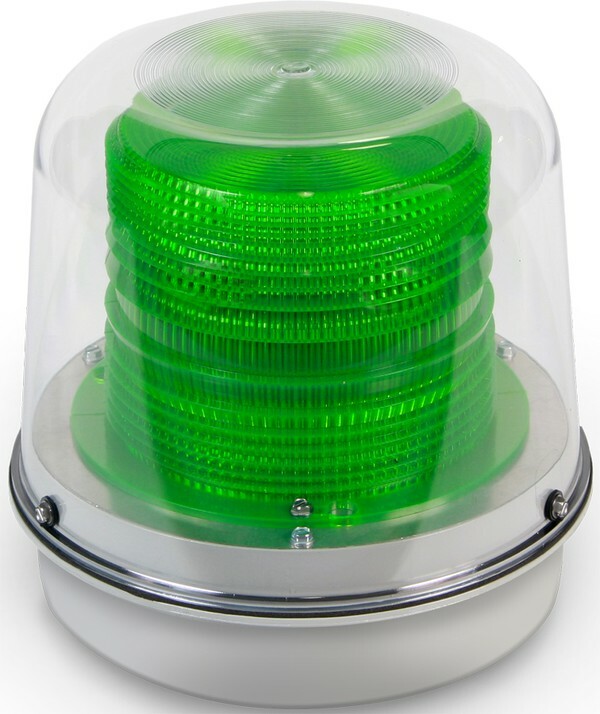 The 94DV2 Series Division 2 Xenon strobe beacons are high profile visual signals suitable for outdoor and wet locations requiring a UL Listed, NEMA Type 4X enclosure. 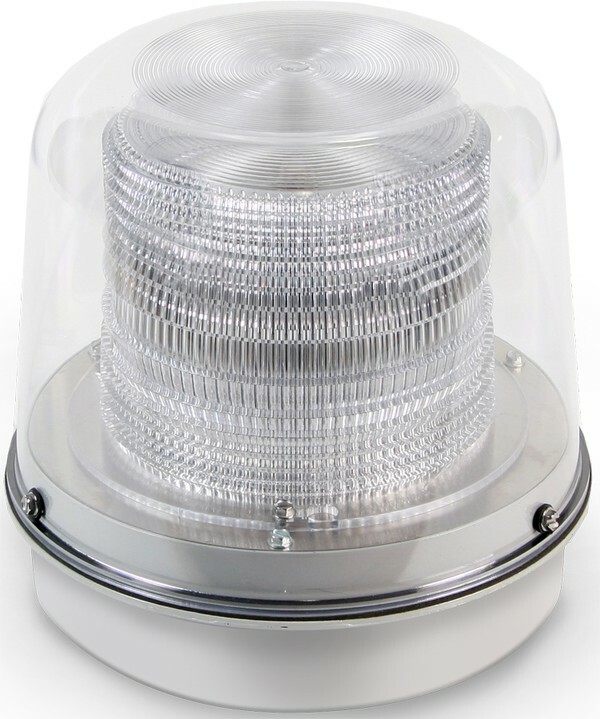 The 94DDV2 Series is Diode Polarized for use in electrically supervised circuits. Both versions can be conduit mounted.